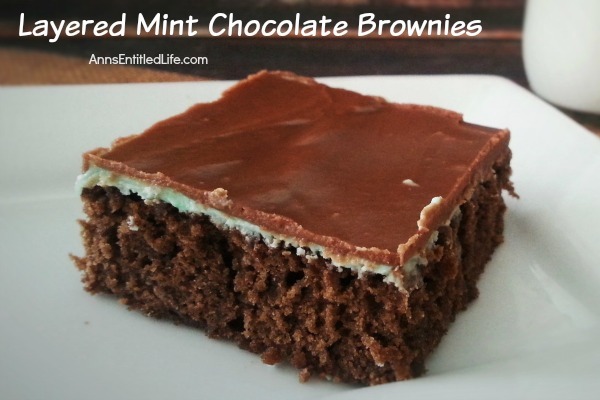 These amazing, triple layered mint chocolate brownies are simply delicious. 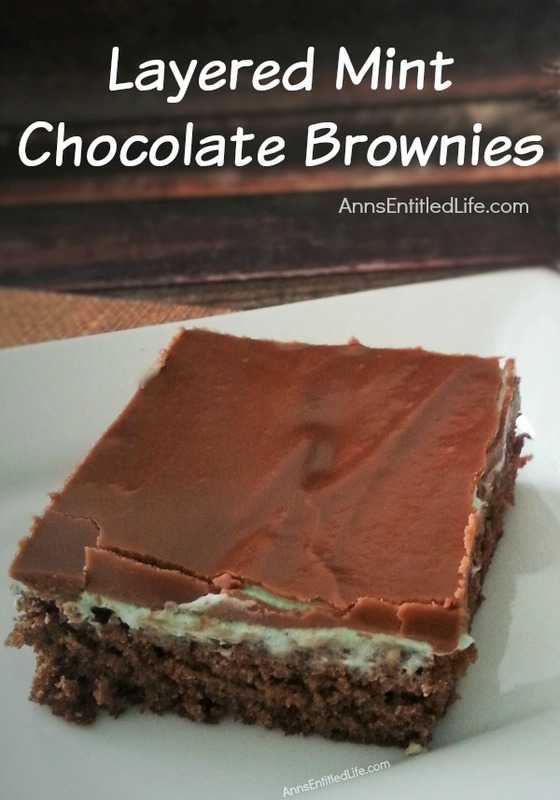 Your friends and family will rave about these phenomenal brownies as they clean out the pan! • Mix eggs, butter and sugar together; beat well. • Add salt, flour, chocolate syrup and vanilla; beat well. • Pour batter into your prepared jelly roll pan. • Bake at 350° for 20 minutes. • Using a stand mixer, beat all ingredients together until fluffy. 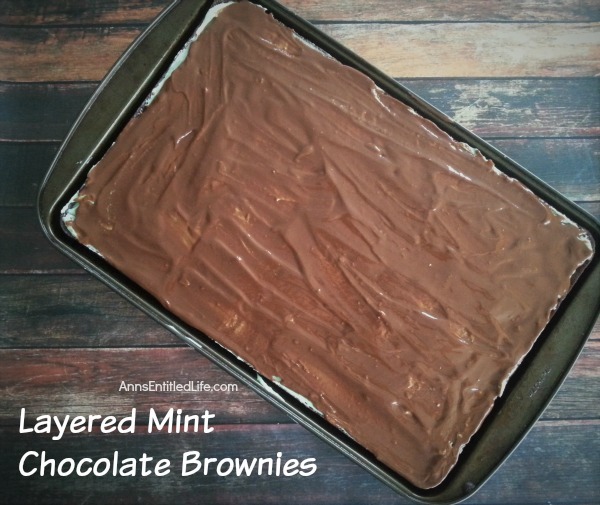 • Spread in an even layer over brownies. 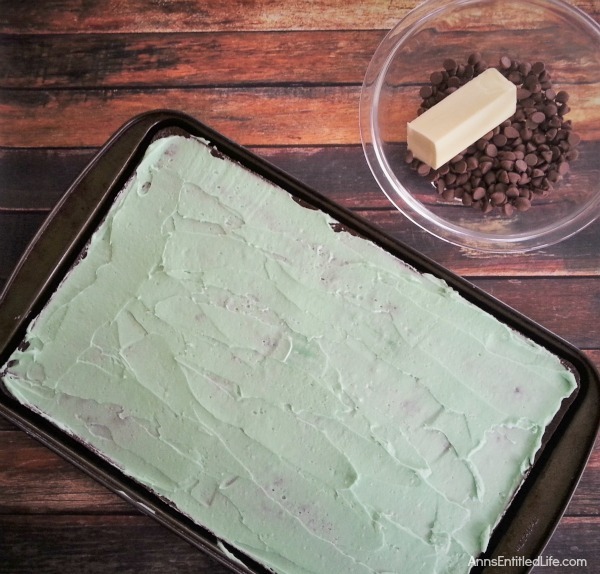 • In medium sauce pan, melt together chocolate chips and butter on a low flame until smooth. Stir constantly to avoid burning. • Pour over the second later of the brownies. • Let stand until cooled completely and hardened before serving. 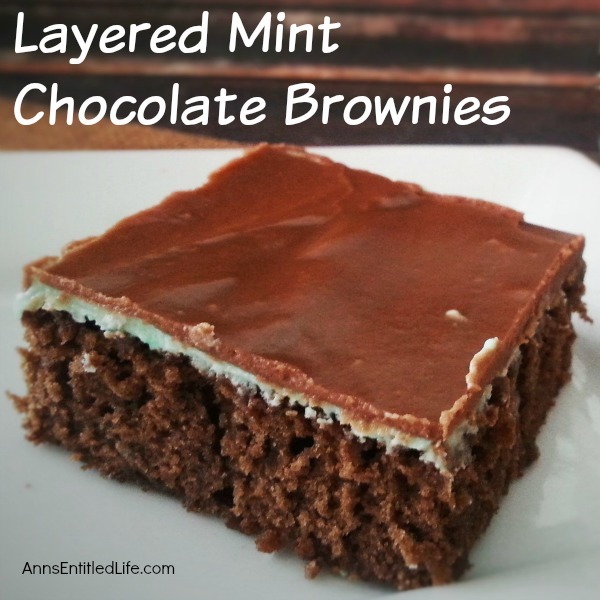 • To print the Layered Mint Chocolate Brownies recipe click here. has anyone tried this because it has no flour in it and when I baked it for 20 minutes it was still completely liquid! was it supposed to have flour or do i need to cook it longer? Penni I cannot apologize enough. Yes, there is a cup of flour. I proof read and proof read, and still missed it.